What is a hybrid guitar and do you need one? 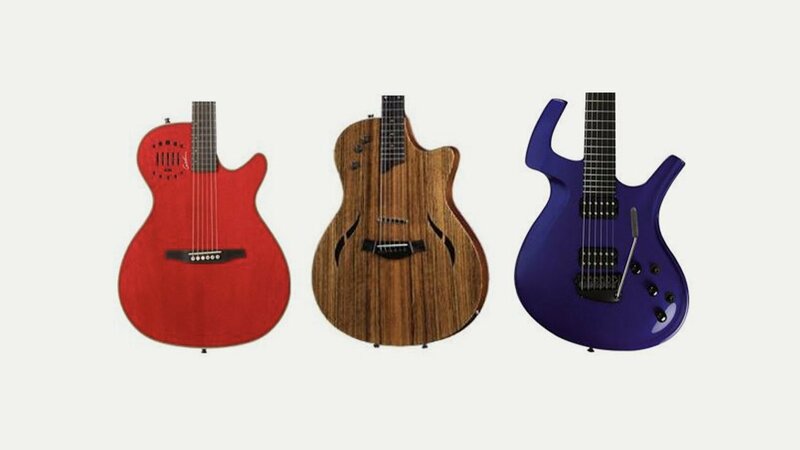 Basically it is a guitar that does (or tries to) both traditional electric and electro-acoustic sounds using either pickups or digital modelling/electronics and even a combination of these. Are they acoustic or electric? Well both actually. You can have an electric guitar that can produce acoustic sounds when required through having a piezo pickup onboard or fancy electronics or you can have an electro-acoustic that can produce electric sounds when required through having humbuckers fitted such as on the Taylor T5. Some of these hybrids produce very convincing sounds particularly when using pickups, less so with digital modelling on board. If you regularly need different sounds from a guitar – without having to change guitar mid song – then a hybrid could be for you, although whichever one you choose will be a compromise, in terms of sound and playability (think string gauge and type, neck size, upper fret access etc). Having said that modern guitar technology means that they are getting closer all the time. The hybrid electric guitar market was started by the Parker Fly Deluxe in the early ‘90’s and since then they have gained popularity with other makers joining in. MusicMan offers a range of piezo loaded electrics as does Carvin. The Fret-King range features a couple of hybrids and James Tyler offer the Variax which comes with plenty of digitally modelled acoustic voices. The Taylor T5 is a hollowbody guitar which is strictly speaking an electro-acoustic but for the humbucker on top and hidden sensors and pickups inside. You can also get an Acoustasonic Telecaster from Fender which has imaging technology built in and Godin’s Multiac range has pickups on top and piezo loaded bridges with synth access available. You can also get the Fender/Roland G-5 Strat which has clever electronics on board. PRS also come to the party with a range of electric solid and hollow bodies with a piezo pickup fitted to produce acoustic like sounds.